For Sale All Locations, South Carolina, Florence Hwy. 378 & Old River Rd. 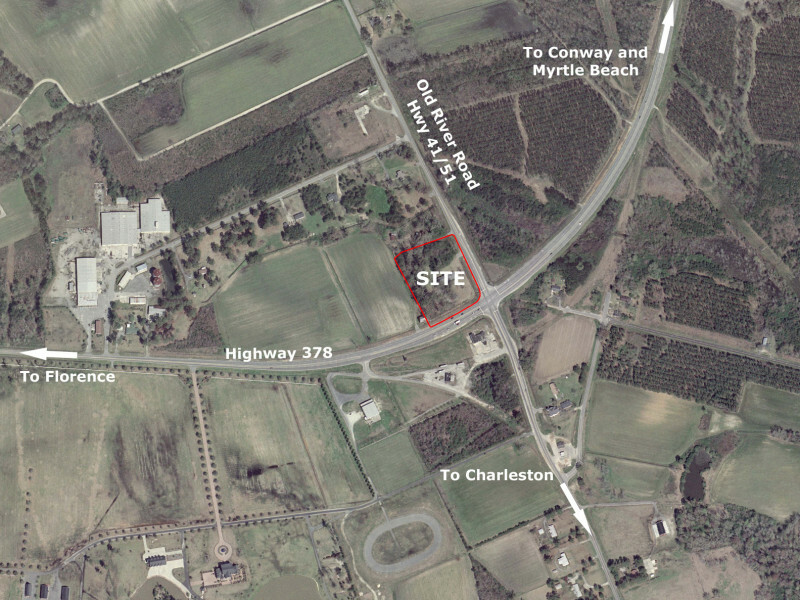 This excellent convenience store or fast food development site is situated on a traffic light corner at the intersection of Highway 378 and Old River Road in southern Florence County. This is a prime development lot with excellent potential and great visibility. The site is easily accessible from either highway. Highway 378 is a heavy traveled vacation corridor by commuters heading to Myrtle Beach and other portions of South Carolina’s east coast. Seller is willing to subdivide the property into: j+/- 1.5 acre corner site; k+/- 1.5 acre parcel fronting only Old River Rd. Use: Convenience Store, Fast Food, Retail, etc.